Business magnate George Soros is convinced that the EU needs to reinvent itself. In an interview with EURACTIV’s partner WirtschaftsWoche, he explained how Europe should deal with Brexit. George Soros is a Hungarian-American investor, philanthropist, political activist and author, as well as being one of the richest people in the world. In 1992, his investment fund made $1 billion after the UK withdrew from the European Exchange Rate Mechanism. Due to its losses, Soros was dubbed “the man who broke the Bank of England”. Soros spoke to WirtschaftsWoche’s Gregor Peter Schmitz. Every week, Europe seems to face a new crisis, whether it’s refugees, the UK leaving the EU, terror attacks or financial ruin. You have promoted European cohesion for decades. Are we on the brink of disintegration? I am very worried. Europe is about to collapse and has to be completely reinvented. The goal must be to have a European Union that a country like the United Kingdom would want to be a part of. To achieve this, the very nature of the EU has to be put to the test. What should actually be done? There are three points that are critical in my view: firstly, the artificial distinction between EU membership and membership of the eurozone must stop. Countries choosing not to adopt the common currency should no longer be treated as second-class members. Secondly, the EU should use its excellent credit rating in order to borrow more for use in investment. Moreover, the member states have to cooperate more on foreign policy, especially in cases such as Ukraine, which wants to belong to Europe. Lastly, there has to be more cooperation on tackling the refugee crisis. I have made numerous proposals to that end. 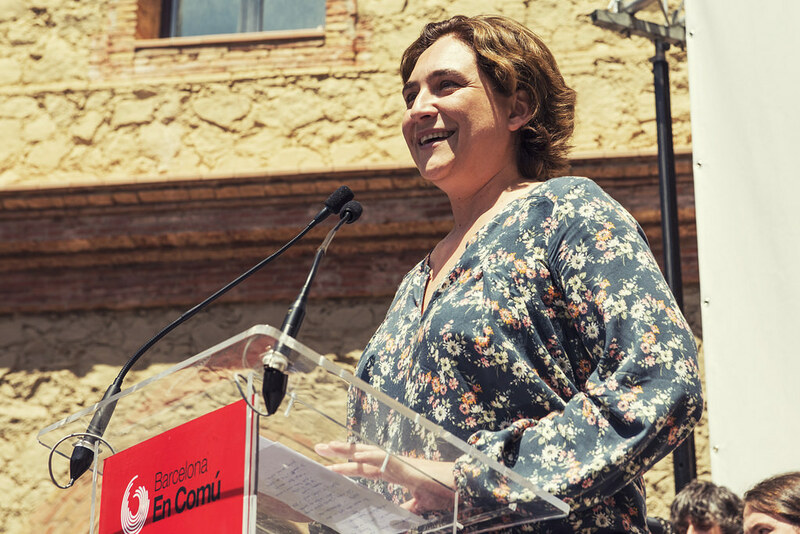 Barcelona’s mayor, Ada Colau, has criticised Brussels’ response to situations like the refugee crisis and denounced the EU for being “interest-based”, calling for a network of cities to be set up to “better represent the people”. EURACTIV Spain reports. If all of this were achieved, could Brexit be rolled back? No, it’s happened and it cannot be undone. It will take many years to implement this decision. The issue is highly complex, given that parts of the UK, such as Scotland, do not want to leave the EU. I can imagine Scotland, Northern Ireland and the Republic of Ireland forming a kind of “Celtic Union” in order to stay in the EU. One thing is guaranteed, the political and economic uncertainty will shake the UK for years to come. However, the country retains the right to hold another referendum later in order to rejoin the EU. This would be easier than the actual exit. How is it going to affect London’s role as the continent’s leading financial centre? London’s role as a financial hub will visibly shrink. Many other cities are going to compete for its bankers and institutions, like Paris, Dublin and Frankfurt. The latter obviously has the advantage of being the HQ of the European Central Bank (ECB). But London’s considerable banking know-how is not going to disappear overnight and will remain a factor. Your €100 million bet on the falling share price of Deutsche Bank has caused a stir. Are you speculating against the European banking system? Europe’s banking system is less solid and healthy than the US or British systems. After the last global financial crisis, the clean-up was carried out less extensively and less carefully. The state of the Italian banks is particularly worrying, but German savings banks are also not doing so well. Deutsche Bank is clearly the most vulnerable commercial bank as well. You are 85 and in recent years have focused on philanthropic work. But you’ve been playing the market lately, why is that? I want to preserve the EU as a whole. That’s a job that isn’t going to be completed in my lifetime. I want the wealth that I have built up to last and to not be lost, so the foundations I have started will go on after I die. Merely said : We need an England that the E.U. would want to be a part of …. We need exactly the opposite: We need an EU that the UK would NOT be part of (now). That would be an EU that is fully integrated, functioning, secure and with free movement. The (old and/or degenerated) Brits still live in WW-2 and fear Germany and France and now by extension, a strong EU. Their goal is to divide and weaken the EU so it will never be a thread, according to their sick brain. Not capable of overcoming distrust and so to cooperate, their island mentality is to oppose and obstruct. Their fear is losing power and their dream is to restore the empire. Well, we are at the beginning of the end of that, when even the isle will break up. After that, they’ll want to be part of the then fully integrated EU. And we will welcome them as friends and forgive, as it is in our European nature to overcome old feuds and embrace cooperation. Well, I for one am willing to bet the EU breaks up before the UK does. @YY No, you are wrong. We do not need any further EU integration. EU must be confederation of 27 member states with common market where Council of Europe make all decisions while EU commission is only administrative body which have to prepare a documents according this decisions. So we do not need any European parliament because each EU member states has its own parliament. Why? In history no multinational state anywhere in the world was successful and attempts to create an artificial nation – europeans e.g. yugoslavs ended in the blood bath. So Eu must stop any further attempts toward creating federal EU because it member nations will not accept it. This was also one of the reason for Brexit. do you even realize that the Council of Europe is NOT an EU organisation ? that’s extreme right-wing nutjob !! As for your statement: remember those states that united in Amerika? Now, what is their name, and for how long do they persist, against your opinion of course, that they are united? Furthermore, past results do not guarantee the future. Or is the earth flat, don’t women have suffrage and is democracy a fairy tale? The white population of the United States at the time of independence was — at a minimum — 60% English and 70% British. As a result, the 13 states enjoyed a common language, culture, history, and socio-legal tradition. They had even enjoyed a prior common political and cultural allegiance — that of being British subjects. Nor did this stop a bloody civil war from 1861-5. The unification of the United States may be compared to the 1707 union between England and Scotland, Canadian confederation, German unification or Australian federation. A unification of people sharing a common language and culture. Anyone comparing it to present-day Europe is historically illiterate. An EU that the UK would want to be part of would be an EU that serves British interests, above other ones.That is not a good proposal. I think what we first need is an EU that most people in Europe want to be part of. That would be a good place to start. And we don’t need another corrupt, bankrupt impoverished ex-Russian state like Ukraine to join. Stop the expansion and start the integration! Those that voted to stay in the EU tended to be younger, better educated, and in fact are the future of the UK. The EU they want is a Europe with freedom of movement. They see themselves as Europeans living in Britain. Ukraine is a post-Soviet state that was seen in 1992 as potentially the wealthiest post-Soviet state – agriculture, industrial base, science, great human capital. These strengths are still relevant in the modern world. What the people of Ukraine learned was that the legacy of being in the Soviet Union was extremely damaging, particularly in the corruption bred by a totalitarian state with no checks and balances in government and no competition in the economic sphere. The Soviet legacy is finally being thrown off and Ukraine has entered a period of rapid progress. What is most clear, however, is that Ukraine is not a post-Russian state. Ukraine was one of the founding members of the United Nations, when Russia was but a part of the Soviet Union. Ukraine has its own culture and proud history. Ukraine and the Russian Federation both gained full sovereignty only after declaring independence from the Soviet Union in 1991. Both states are in process of discovering and creating their post-Soviet identity. As Ukraine gets on the track towards European levels many more of its people will become well off and wealthy. In a decade as Ukraine’s agricultural abundance becomes increasingly important, net immigration will have become positive, some coming from the UK. 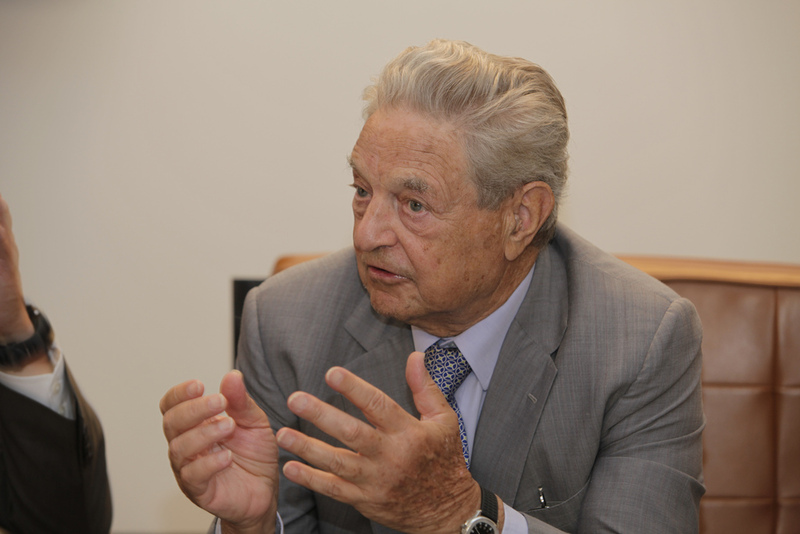 Mr. Soros paints an inspiring vision for the future of Ukraine and of the EU. Let’s hope it works. The phrase your looking for for those that voted remain is “Less Wordly Wise” The French want the EU to be a mirror of France the Germans want an EU that runs on time & in a straight line, we in the UK want an EU that leaves us alone. And I am sure the rest of us don’t count for you. This is why we want you to leave us alone. Send that A50 letter already and get out. 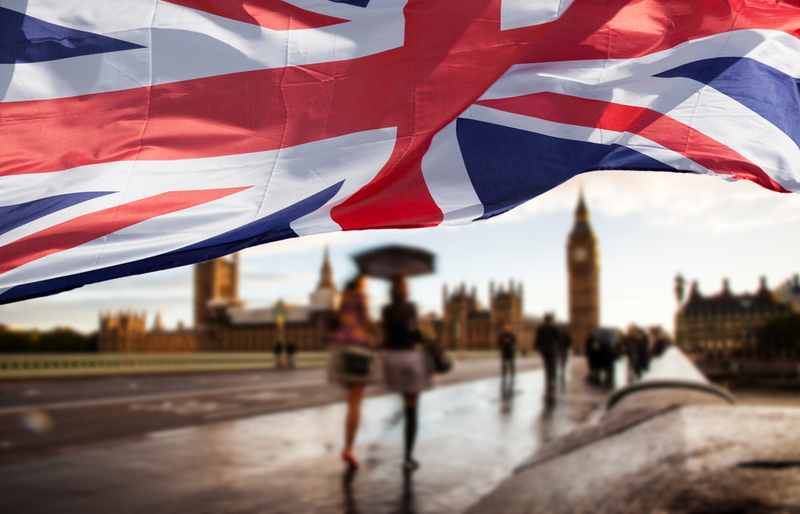 A younger generation in the UK may well reverse Brexit, but we cannot sit and wait for that. We need to get our act together otherwise there will not be an EU for Ukraine to ever join with. We need to unite and fast. Including a European military. Without the Brits keeping us from doing so -on behalf of the Pentagon- we can do that now. With Erdoğan and possibly Trump in NATO we can no longer depend on that organization. And even less so on the Brits. They are a mess themselves. Worse than the EU. Something that Soros seems to miss completely. There are reasons why the Scots want out! ”..We need an EU that the UK would want to be a part of..” You mean another EFTA? No, mr Soros. We have tried that for 43 years and it has never worked. We need a true European federation with its own military otherwise we’ll get ruled by Putin, Erdoğan or the ISIS thugs. Juncker and his friend George Soros do not care about the people of Europe. They only care about getting even more rich at everyone else’s expense. Such is the evil of globalist masterminds. Personal Greed. !